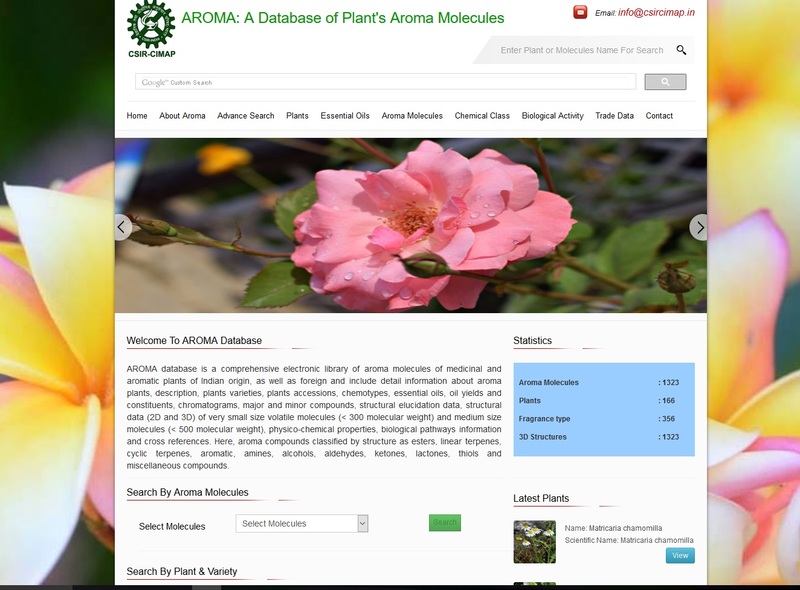 AROMA : database is a comprehensive electronic library of aroma molecules of medicinal and aromatic plants of Indian origin. 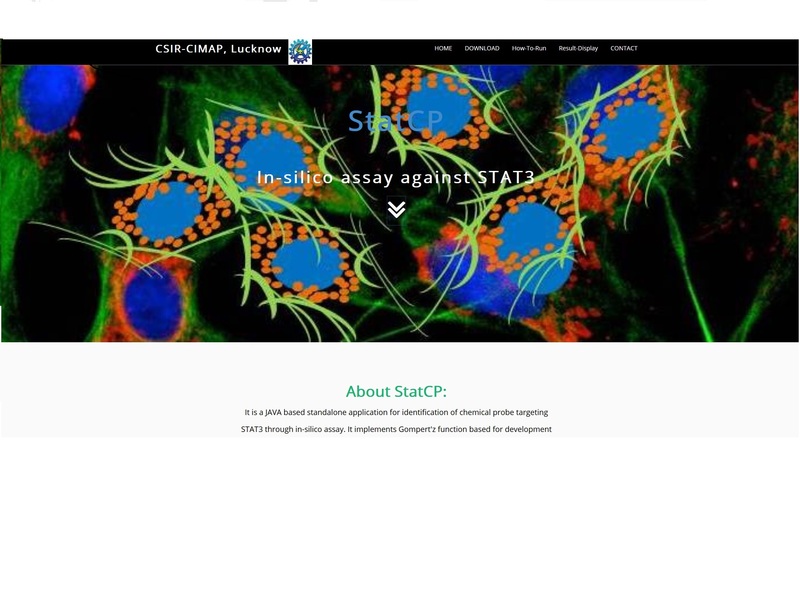 StatCP : It is a JAVA based standalone application for identification of chemical probe targeting STAT3 through in-silico assay. It implements Gompert'z function based for development of in-silico assay. 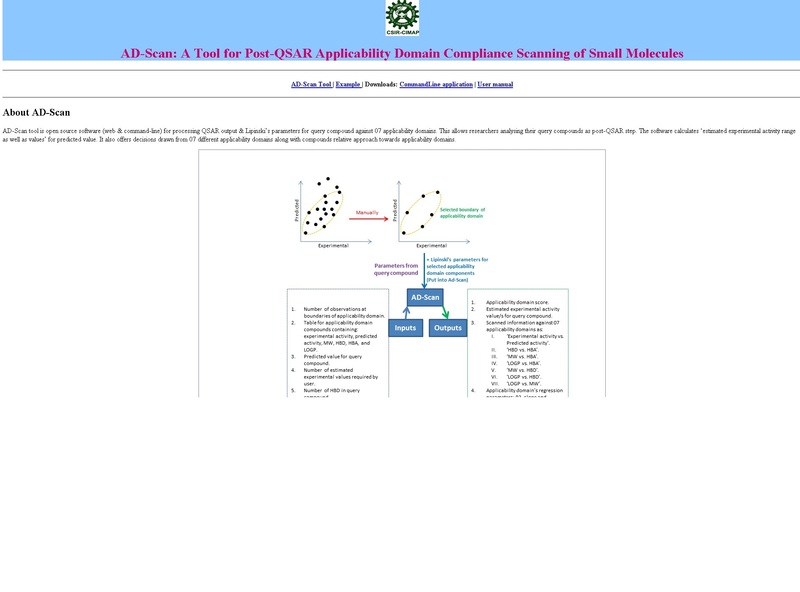 AD-Scan : AD-Scan tool is open source software (web & command-line) for processing QSAR output & Lipinski’s parameters for query compound against 07 applicability domains. 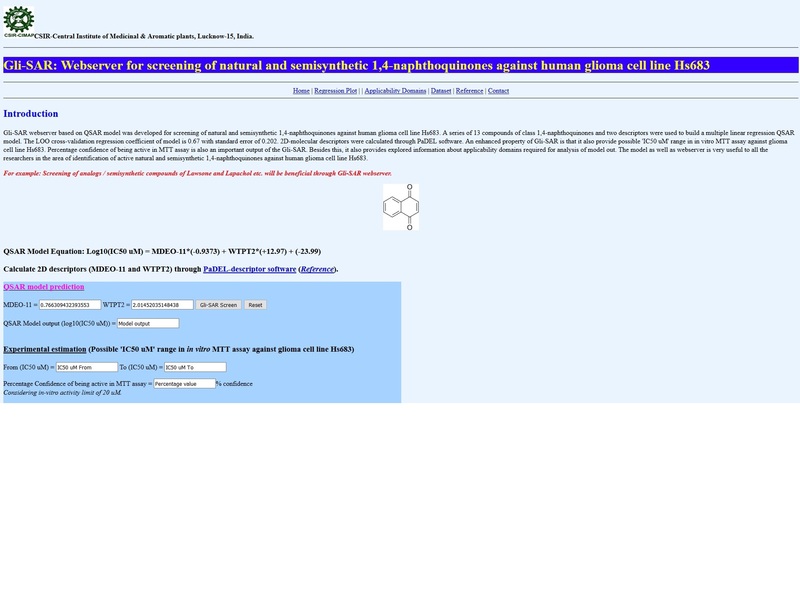 Glis-SAR : Gli-SAR webserver based on QSAR model was developed for screening of natural and semisynthetic 1,4-naphthoquinones against human glioma cell line Hs683.